Drug dealer operating in Gosport jailed for more than three years. 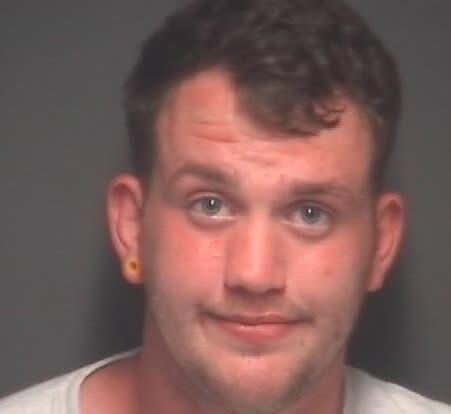 A 22 year-old man has been jailed for more than three years after admitting a number of drugs and driving offences in Gosport. Merlin Archer of Maple Close in Lee-on-the-Solent was jailed at Portsmouth Crown Court on Friday 5 October for a total of 42 months. He was sentenced to 36 months in prison for seven drugs offences including supplying cocaine and cannabis. In addition he was sentenced to a further six months for four driving offences including dangerous driving. Investigating officer PC Mark Barber said: “This sentence sends a clear message that we will investigate you and prosecute you if you are involved in the supply of drugs. “Merlin Archer was seen to be dealing drugs on Mumby Road in September 2017. Further enquiries revealed the extent of his activities. In February 2018 Archer was seen in the Tesco’s at Alver Village and was arrested, wraps of cocaine were also recovered. “The sentence reflects other matters where Archer was also arrested including a dangerous driving incident where he was driving under the influence of drugs in July 2018. He admitted all the offences he was charged with at Portsmouth Magistrates Court on 4 September”. Officers are keen to hear from anyone who is concerned about illegal drugs or drug-related crime in their neighbourhood. New-looking or hire cars parked outside a house or flat that wouldn’t normally be there, and being driven by somebody that you wouldn’t normally associate with driving that style of car. If you are concerned about drug-related crime or anti-social behaviour where you live, then please contact your local Neighbourhood Policing Team on 101. Alternatively people can call Crimestoppers on 0800 555 111, where information can be left anonymously.